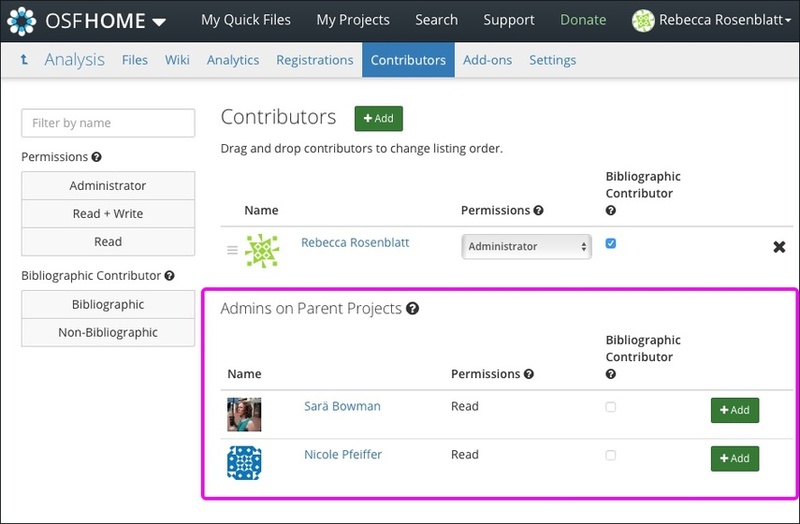 Admins on the parent project have read-access to all child components, even if other contributors created them. 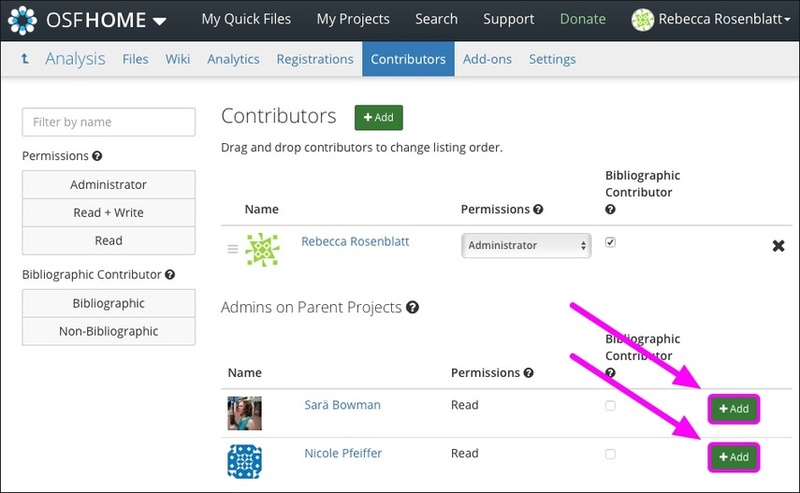 This help guide will walk you through how admins on the child component can easily add admins from the parent project. There will be a section called "Admins on Parent Projects." 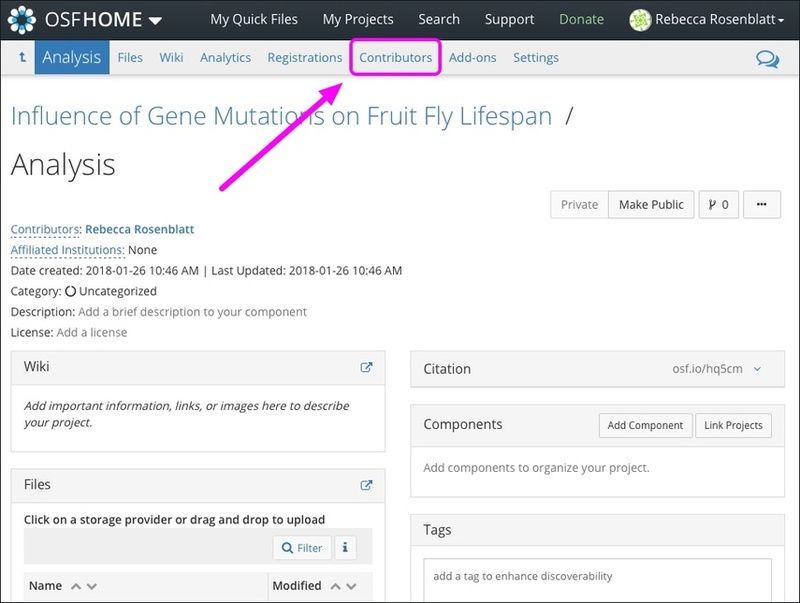 Click the green Add button next to the admin that you want to add to the component. 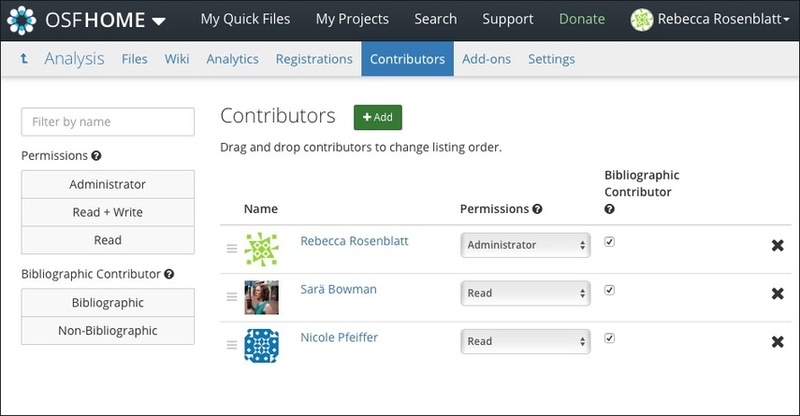 The admins on the parent project will be added to the component. They will have read access and be bibliographic by default. To modify these permissions, see Edit Contributor Permissions.